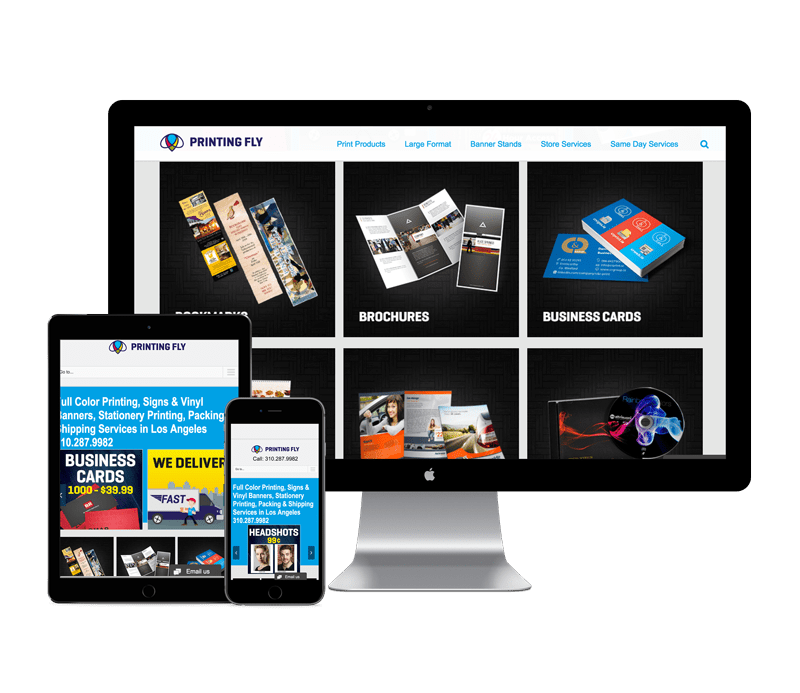 Printing Fly was a new local business with little leads and no existing industry list. Located in central Los Angeles there was a lot of competition for local print companies in the area. Find the industries that are still using print instead of digital. Run highly geo-targeted ads broken out into granular industries with custom messaging and incentives. Improve the websites conversion rate to acquire leads for phone calls to make the service more personal to customers and increase customer retention. Utilize zip code + radius targeting and day parting to display relevant ads while store was open and business owners are searching for print solutions. Used customized niche specific ads and ad extensions to maximize space at the top of search results. In depth keyword research for print solution searches. Added more opt-in’s to category pages, optimized user flow with heat-map tracking. This project was a great success in launching a new brick and mortar business while leveraging a website and search ads to get new customers in the door. The combination of quality search ads and an optimized lead funnel lead to the success of this project.